Flying a drone can be a fun and rewarding experience. Whether exploring your community or drone racing with a friend, drones can offer hours of entertainment in almost any outdoor or indoor environment. Additionally, drones can be used for professional purposes, including for surveying, videography, and more. In the modern world, the affordable drones that are now available offer a great way to have fun by yourself or with the company of friends. When selecting a drone, it is important to start by evaluating your own needs. You should start by considering your budget and the types of activities that you plan to do with your drone. If you will be using your drone for professional purposes, you should ensure that the drone you are considering supports the software that you plan to use. In some cases, you will need to purchase accessories to give your drone the functionality that you need. By thoroughly considering your options before making a purchase, you can look forward to owning a drone that can enrich your life for years to come. One of the best drones available is the DJI Mavic Air, which offers high-quality imagery, simple controls, and 21 minutes of flight time. The Mavic Air is set apart from the competition with its ability to be folded into a shape that is small enough to fit into your pocket. You can, therefore, take the Mavic Air with you wherever you go without having to worry about the logistics of using a carrying case. Despite the unrivaled portability of the Mavic Air, the drone still manages to include the most advanced technologies. The Mavic Air can snap pictures as high as 32 megapixels in panoramic mode, and it offers 4K video recording at 30 frames per second. You can also use the drone to record in slow motion by taking advantage of its ability to record 1080p video at 120 frames per second. To ensure optimal video quality, the Mavic Air includes a camera gimbal mount for maximum image stability. Gimbal mounts help to improve image quality by reducing vibrations caused by the drone's propellers. 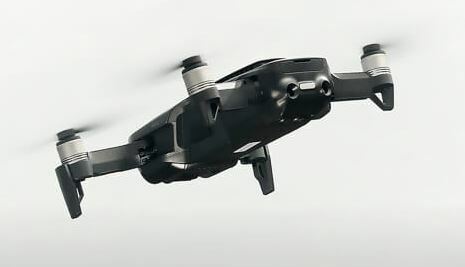 The Mavic Air's gimbal mount works in conjunction with the drone's computer system to improve the quality of both streaming and recorded video. With the help of enhanced Wi-Fi technologies, the Mavic Air can transmit a high-definition video stream to the operator. You can, therefore, control the drone in first-person view mode using FPV goggles or your smartphone. Additionally, controlling the Mavic Air is simple with the intuitive controller that is included in the Mavic Air drone package. An intelligent flight battery made from high-density lithium is also included with the Mavic Air to support up to 21 minutes of flight time. The battery pack is easy to reach, so you can get back in the air in a matter of minutes if you purchase a secondary battery. Despite the exceptional fight time that the Mavic Air supports, the drone can travel at speeds of up to 68.4 kilometers per hour. You can, thus, use the Mavic Air to keep up with runners, wildlife, or even moving vehicles. Following moving objects can be challenging for inexperienced drone operators, so DJI includes ActiveTrack technology to automatically follow up to 16 selectable targets at the same time. 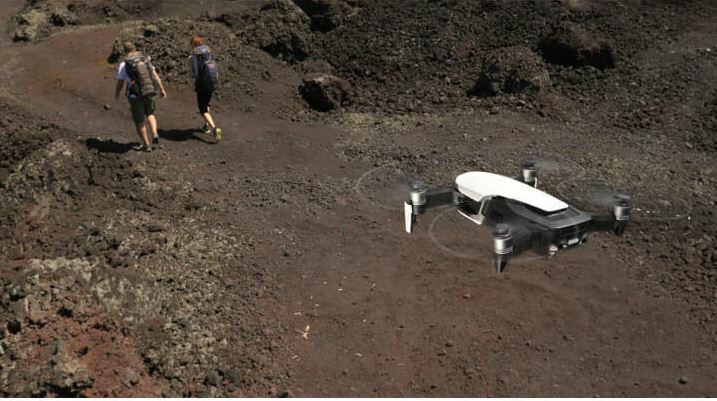 The drone also offers a feature called QuickShots that enables it to orbit around an object for a unique video experience. The Mavic Air even includes technologies that give it environmental awareness, so it can avert crashes by sensing potential hazards to avoid. Who Is the DJI Mavic Air For? Due to the robust range of features that the Mavic Air offers, it is ideal for a wide variety of prospective drone buyers. Casual hobbyists can benefit from the Mavic Air's portability and environmental awareness. The drone is also ideal for professional jobs that demand high-quality video and extended flight time. Drones that come packed with exceptional features often have high price tags that keep them out of reach for the average consumer. The Mavic Air, however, offers a full range of high-end features at a moderate price. 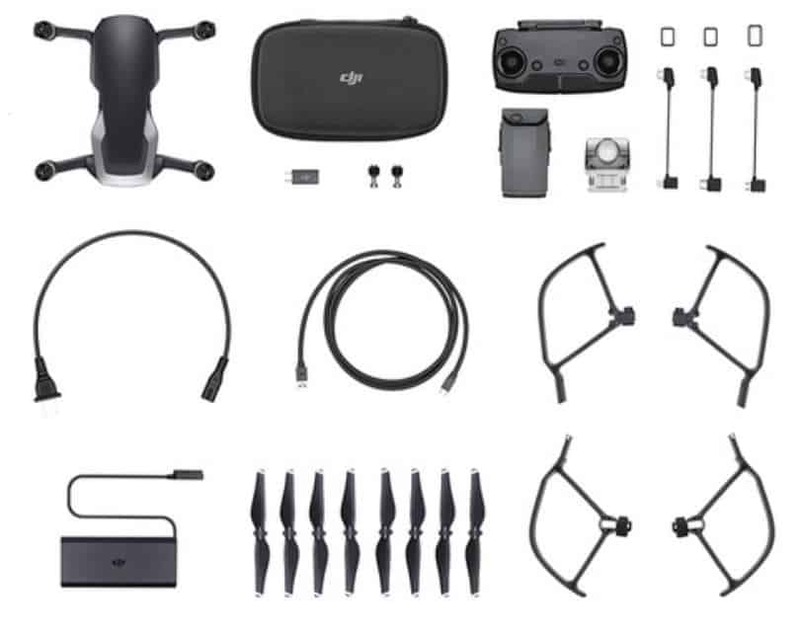 DJI is able to offer the Mavic Air at an affordable price due to high projected unit sales and recent advancements in mobile hardware technologies. You should consider the Mavic Air if you are looking for a high-end drone priced in the middle of the market. The Mavic Air's ability to follow sets of targets makes it ideal for users who plan to record moving objects, such as motorcycles or hikers. You can even use the drone's automatic following capabilities to record yourself as you do outdoor activities, so you do not have to hire a videographer or convince a friend to help for your next filming project. Additionally, with the three-dimensional sensing capabilities of the Mavic Air, the drone's computer will automatically take control in the event of a projected collision so that you do not have to worry about crashes that can break your drone or cause injuries. The Mavic Air's live high-definition video feed is ideal if you want to enjoy an FPV experience with exceptional quality. The video feed is very responsive, so you can use it for drone racing or other activities that require high performance. DJI also manufacturers some of the best FPV goggles on the market. By using goggles designed by your drone's manufacturer, you can enjoy an optimized FPV experience that can be configured with little effort. Although the features available with the Mavic Air are sufficient for most casual hobbyists and professionals, there are instances where you may need to consider an alternative drone. If your goal is to buy one of the cheapest drones on the market, there are less-expensive drones available from other manufacturers. However, none of the mid-range drones available in the current marketplace have features comparable to the Mavic Air. Check the Current Price on DJI.com! The Mavic Air is sold as part of a drone package that gives drone enthusiasts everything they need to get started. The drone itself comes packaged without attached propeller blades to minimize the chances of buyers receiving a damaged product. The propeller blades are, however, simple to install by snapping them on with ease. For greater simplicity, DJI includes a comprehensive manual that teaches you how to attach the propeller blades for your first flight. Propeller guards are included with the Mavic Air for when you need to use your drone in an indoor environment or at a location where your drone could collide with an object. The propeller guards are made of durable plastic materials that are strong enough to absorb significant impacts. You can also take your propeller guards off in under 30 seconds by using the technique outlined in the drone's manual. 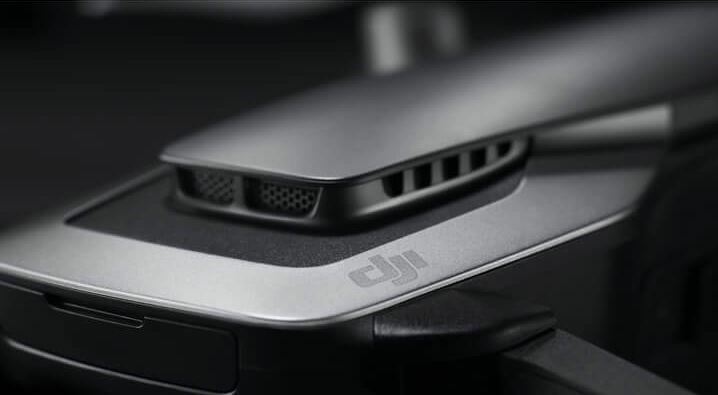 Many drones require buyers to purchase controllers separately, but DJI includes a controller as part of the Mavic Air package. The controller features two joysticks, channel controls, and other buttons designed for simple use. There is even a home button that automatically steers your drone back to the controller. The controller does not include its own screen since it is designed to work in conjunction with your smartphone. To use the controller, you start by downloading DJI's mobile application using an Android or Apple smartphone. Once the application is installed, it will guide you through the steps necessary for pairing your smartphone with the controller, selecting a device for FPV, and mounting your smartphone on the controller. DJI also includes cables for charging your drone and connecting it to a computer. If you want to store more video than the Mavic Air's internal memory supports, you will need to purchase a separate SD card. You do not have to purchase a special type of SD card for the Mavic Air, so you can use an ordinary SD card designed for digital cameras or portable storage. The Mavic Air's camera is included, so you do not have to go through the trouble of trying to pick a third-party camera for your drone. DJI does, however, allow you to upgrade your camera at a later date when new camera models are released. 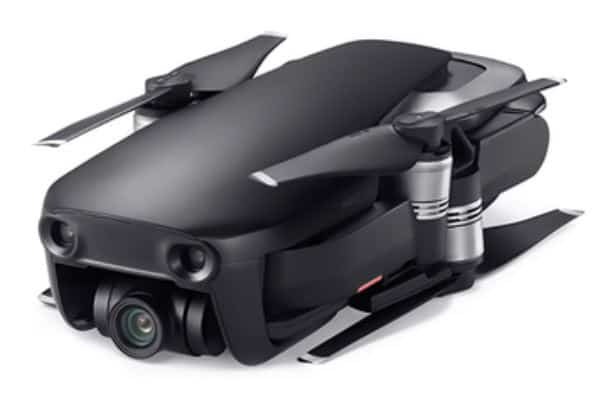 A total of eight propeller blades are included with the Mavic Air, and the drone comes with its own carrying case for extra protection in hazardous environments. When purchasing a new drone, it is important to evaluate its features in thorough detail to ensure that it meets your needs. One of the most important features of the Mavic Air is its ability to fold into a smaller size. If you demand exceptional portability from your drone, you can even remove the propeller blades to make it a bit smaller. The controller is also collapsible so that you can make maximum use of space. Another key feature of the Mavic Air is its ability to capture 12-megapixel stills or 32-megapixel sphere panoramic images with the touch of a button. The Mavic Air takes advantage of its advanced computer system to optimize recording quality for all imagery, including its live video feed. The drone can snap pictures using high dynamic range algorithms that help to refine highlights, shadows, and other image elements. Consequently, the Mavic Air offers an exceptional view from the sky for FPV enthusiasts and videographers recording footage for future use. The gimbal camera mount included with the Mavic Air eliminates angular vibration caused by the drone's propellers. You will not, therefore, have to use advanced video editing software to remove image artifacts caused by a vibrating camera. The Mavic Air can also be set to hold its position in the sky by using its GPS and altimeter. The Mavic Air can record at up to 100 Mbps to capture full 4K video at 30 frames per second. You can also use the drone's camera to record slow-motion video at up to 120 frames per second in any lighting situation. Regardless of which recording mode you choose to use, the video quality is crisp and vibrant. You can fly for up to 21 minutes with the battery that is included with the Mavic Air. DJI also sells additional batteries that you can purchase separately if you need to fly your drone for extended periods of time. The charger is also capable of powering up both the remote and the drone at the same time so that you will not have to wait extra time when both devices are dead. The DJI smartphone application gives you full control over the drone's settings without having to connect it to a computer. You can, for example, use the smartphone application to adjust the camera's exposure time or change the HDR settings while your drone is in the sky. The ability to change your drone's settings in only a couple of seconds makes the Mavic Air ideal for use in dynamic environments. Over the last several years, DJI has invested heavily into ensuring that its products are easy to use. DJI has created a video series on its YouTube channel to teach customers how to fly the Mavic Air. After purchasing your Mavic Air, you will also find a thorough manual in the package that minimizes the learning curve. The battery even comes charged so that you can begin your aerial adventures as soon as your drone arrives. The Mavic Air is designed to be flown by amateurs with limited flying skills, so you will not need the training of an experienced pilot to navigate through the air. The controls are designed so that you simply use one joystick for steering and another joystick for controlling your altitude. By default, the joystick controls are not even inverted on the Mavic Air like they are for professional aircraft. Experienced flyers can invert the controls using the Mavic Air's settings menu. Unlike most of the drones that are available in the marketplace, the Mavic Air is controlled by a well-optimized application that simplifies the ordinary challenges inherent with flying a drone. The DJI mobile application can, for example, be used to calibrate the drone's compass with the touch of a button. The application will notify you whenever the Mavic Air's computer system takes control, such as when the automatic collision system is initiated or when you command your drone to return home. The polished flying experience makes it simple to fly your drone like you would in a video game. The drone industry favors buyers since a wide range of product options are available from competing manufacturers. Drone buyers who have limited funds may want to consider some of the alternative options that are available. In many cases, however, the less-expensive drones can cost more in the long run since they tend to depreciate faster than the Mavic Air. Additionally, many of the inexpensive drones that are available come with no warranty. The Mavic Air, in contrast, comes with a warranty that covers comprehensive damage for one year. The software and patented technology included with the Mavic Air is another important consideration since no competitors can legally offer similar features. Overall, the Mavic Air is a step up from the competition in terms of both quality and performance. Before purchasing a drone, you should be sure to conduct thorough research to prevent future dissatisfaction. The DJI Mavic Air has some of the most advanced drone features that current technology can offer. Although the Mavic Air is not designed to be one of the cheapest drones on the market, it is still very inexpensive relative to some of the high-end drones that are available. Unlike manufacturers that target small subsets of the drone market, DJI can justify investing substantial resources into technology research due to the millions of unit sales it can project to earn over the next decade. The Mavic Air's polished performance reflects the significant level of investment that DJI put into engineering an excellent product. If you are looking to buy a drone on the basis of its technology, the Mavic Air is one of the best options available. The computerized control features of the Mavic Air make for an easy flying experience without sacrificing performance. It is also difficult to rival the versatility of the Mavic Air in terms of FPV functionality since you can control the Mavic Air from any smartphone, tablet, laptop, or compatible set of FPV goggles. Additionally, the Mavic Air's controller has an HDMI port that enables you to stream a live video feed from a high-definition television. Finally, no DJI Mavic Air review would be complete without mentioning the regulatory requirements necessary for ownership. 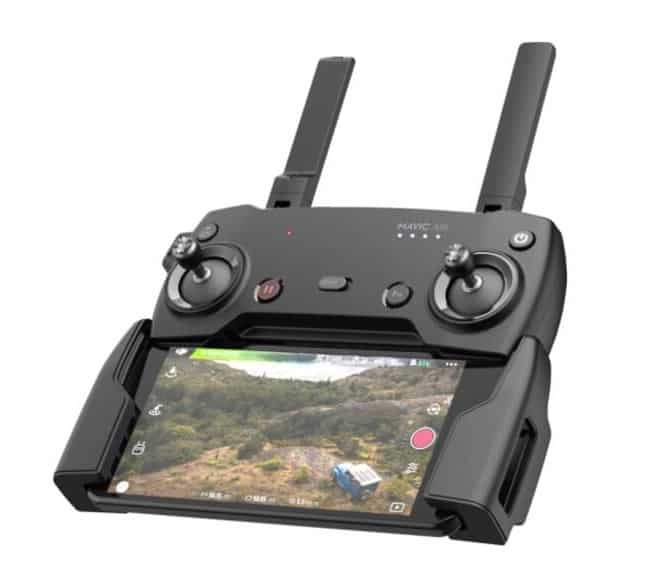 Since the DJI Mavic Air uses a 5.8-GHz signal that is similar to the frequencies used for an ordinary Wi-Fi connection, you do not have to worry about obtaining an amateur radio license. Additionally, the Federal Aviation Administration has required that all drones be registered since December 21, 2015. DJI has, however, streamlined the process of registering your drone so that you can get past regulatory hurdles with minimal hassle. The Mavic Air drone package offers unrivaled value for buyers searching for a drone available at a moderate price. Drone buyers ranging from casual hobbyists to advanced professionals should, therefore, consider buying the Mavic Air.